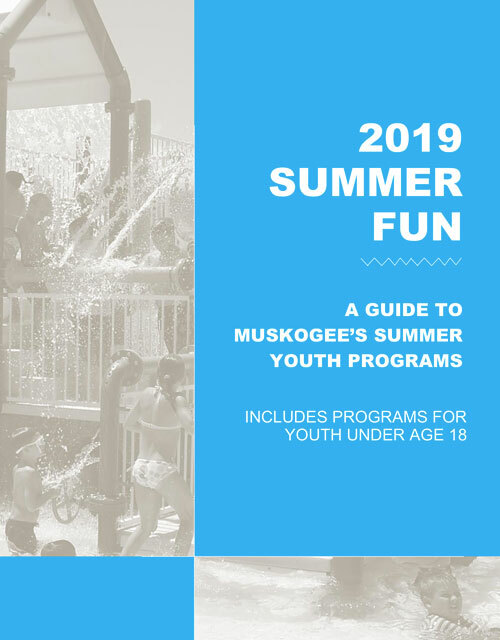 The City of Muskogee Foundation is partnering with area organizations to help improve Muskogee summer programs. Our aim is to provide transportation to all programs within the city, feed our youth and ensure parents have a centralized place to learn about available summer programming. Students attending Rougher Summer Pride in 2019 are welcome to use the transportation schedule found here. There will be four buses going to Rougher Summer Pride in the morning and one bus will take youth from Summer Pride to Community Treasures at noon. Parents are responsible for picking up their kids at the conclusion of Community Treasures. Additional transportation will be available for Band Pride students, for more information please contact Jerry Huffer included in the summer fun guide. Muskogee Public Schools provides free breakfast and lunch to children under the age of 18 during the summer as part of the USDA’s Summer Food Service Program. Please click here for complete information.